An award-winning design and photography studio based in San Francisco. Pinning down exactly what all Peggy Wong does is a bit like trying to catch a cloud, as the song goes. Photography, art direction, graphic design — the common thread is her sophisticated eye, keen sense of style and reﬁned taste for everything. Through design, typography and photography, Peggy Wong weaves a tapestry of a well-traveled life, artfully lived. An award-winning designer and former Deputy Art Director at Martha Stewart, Peggy Wong is the force behind her multi-disciplined design and photography studio. Over two decades of experience with some of the world’s most recognized brands, Peggy has traversed the nuances of typography and art direction with ﬂuency. With every project she takes on, Peggy brings a highly reﬁned sensibility with the credentials to back it up. A graduate of Rochester Institute of Technology (with the Chair’s Award for Excellence in Graphic Design), she was also a faculty member at the Art Institute of California where she taught typography and graphic design. 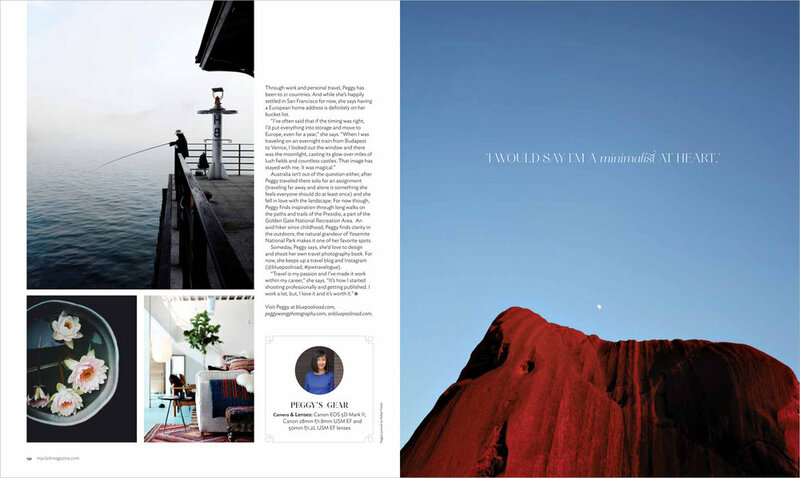 Photography is a natural extension of her already accomplished repertoire — a world traveler since the age of eight, Peggy is now a published travel, lifestyle and aviation photographer in San Francisco. Peggy launched her stationery line, bluepoolroad in 2009 and started collaborating with Crane & Co. and Paperless Post soon after. A hand-tufted rug collection, as well as a series of marble tiles lithographed with her travel photography, were added to punctuate the brand’s creative offerings. Her bluepoolroad social stationery line is now available exclusively at Paperless Post, via their Designer collections. Over the past two decades, Peggy has amassed a long list of notable clients in both design and photography ﬁelds including Bath & Body Works, Bon Appétit Magazine, Cathay Paciﬁc Airways, Citizens of Humanity, McCann Erickson, Pottery Barn, Victoria’s Secret Beauty, Wayfare Magazine, Williams Sonoma and more. Her work has also been featured in publications such as Architectural Digest, Belle, Cereal Magazine, Communication Arts, Condé Nast Traveler, Food & Wine, Kinfolk, Print and Vogue Living Australia, to name just a few. We’ve long been Peggy Wong fans. her design perspective is just so crisp and cool. If her stunning travel photography is any indication, Peggy only selects the most beautiful places to go. We just wish she’d pack us along in her travel bag. Peggy is an accomplished woman whose versatility has earned her respect in a number of creative fields. everything Peggy touches turns to absolute design gold. Wong’s work is about more than simply taking a photograph. It’s designed to evoke an emotion from the viewer. There is a kind of personal preciousness to each image. Overnight train ride from Budapest to Venice. Looking out the window with the moonlight casting its glow over miles of lush ﬁelds and countless castles. It was magical. I used to live in Puerto Rico when I was young. An original Alexander Calder lithograph that I discovered at an antique store in upstate New York, buried in a sea of nondescript framed pieces. I knew I wanted to be a graphic designer when I was fourteen. I was already in love with typography then, it was innate at that point. I began shooting at sixteen, so photography wasn’t really that far behind. I told myself that I needed to go to New York, and I did. I was pretty determined. It’s true when they say ‘love what you do.’ It shows in the work—through and through. Passion first, career second. That passion is everything. I’ve been fortunate in my professional life to work with a number of highly creative people—but Peggy Wong is without a doubt, one of the most creative. She sees beauty everywhere—even in the most mundane situations—and her ability to translate her vision through her photography and design is unparalleled. She is decisive and focused, and an exceptional communicator and editor. Regardless of the project, Peggy brings a unique perspective. One of Peggy’s Instagram takeover photos for Condé Nast Traveler, taken on location in Honolulu. 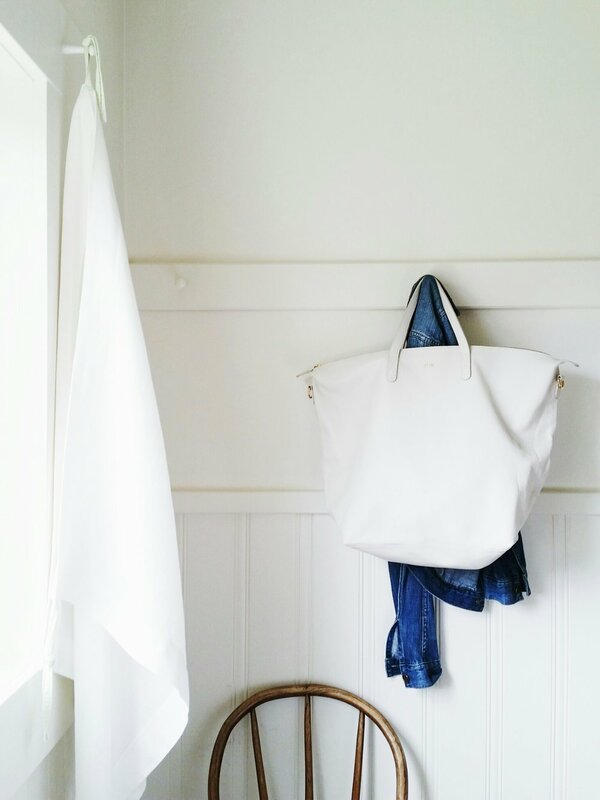 Another of Peggy’s social media collaborations – this time while on her personal travels – styling and photography of the Oversized Carryall Tote for Cuyana. © 2017 peggy wong and bluepoolroad. all rights reserved.